I am writing this blog post in a state of hazy relaxation and an utter state of calm. This is because I have just experienced the ultimate Swiss Spa weekend at The Alpina Hotel in Gstaad. Yoga, Massage, Facials and even a mindful leadership session made up my weekend, which has left me totally rejuvenated and reminded me that I may well have the best job in the world. The gorgeous outdoor pool area is heated and open all year round. 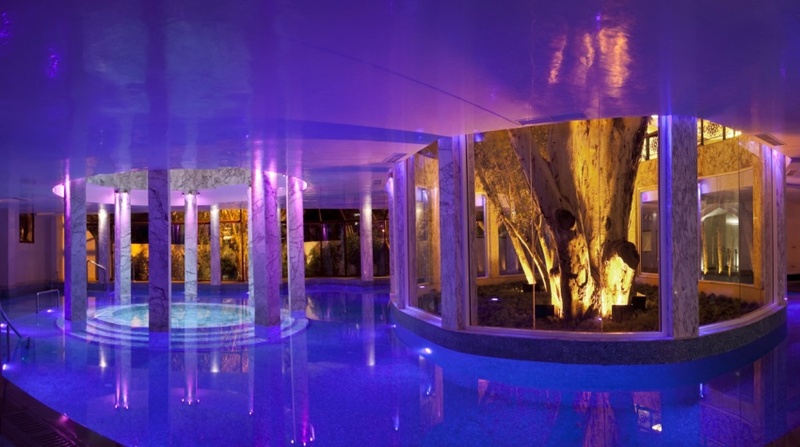 My reason for visiting was to complete a Press Trip with PRCoUK, to experience a taste of the hotel’s new spa and wellbeing programmes, designed to entice their jet-set guests during the summer months. An opportunity I was most certainly not going to turn down! After a 4.30am start on Friday morning, I arrived at Gatwick airport to meet my fellow journalists. We landed in Geneva and hopped on the 2 hour train to Gstaad. The ascent to Gstaad came with stunning views of Lake Geneva and was a travel experience in itself (especially being used to the dodgy sights on the tube). It was the first time I had visited The Alps without seeing them covered in snow, and it was amazing to see them from an entirely new perspective. 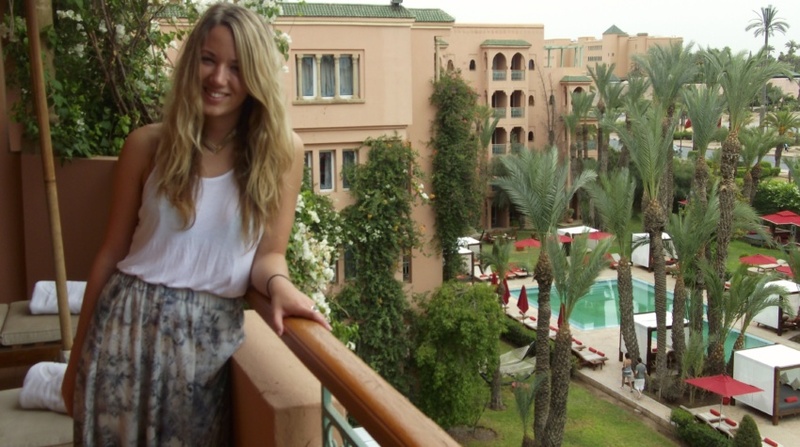 The hotel is nestled in a gorgeous valley with amazing mountain backdrops from every angle. Check out the green pistes on the mountain! After a quick freshen up it was lunchtime. We met for lunch on the hotel’s terrace for our first taste of Alpina Life cuisine, the hotel’s new menu packed with uber-healthy dishes. I went for sautéed organic salmon marinated Asian style, served with pineapple and lettuce hearts, which was sublime. Following lunch we were given a guided tour of Gstaad, a lovely lady who was full of local knowledge and gave a fascinating insight into the famous Swiss town. Gstaad was a lot smaller than I expected and was packed with traditional chalets, designer boutiques and quaint al-fresco eateries. 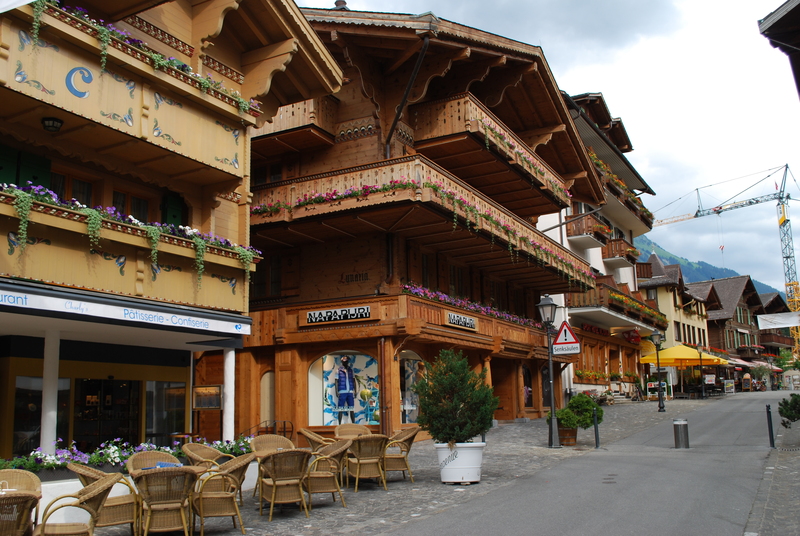 The charming main street is lined with alpine lodges and eateries. Veering off from the Alpina Life cuisine, we were treated to dinner in MEGU, the only Japanese restaurant in Gstaad, based in the Alpina Gstaad. MEGU is an international chain of super stylish Japanese eateries and is also in New York, Doha and Moscow and attracts guests and locals alike. Our 5 course tasting feast included Carpaccio of Yellowtail with Kanzuri Sauce, Carpaccio of red tuna with spicy miso, crispy Kanzuri shrimps, a sushi selection and Kagero Wagyu beef. The sushi was delicious but my personal favourites were the curried shrimp tempura and the beautifully presented Wagu Beef sizzling on a hot plate. Saturday kicked off with a yoga session in the outdoor yoga pavilion. Overlooking the mountains with a crisp bite in the air, it was a totally invigorating and unforgettable experience. As a keen yogi, I loved doing familiar movements in an entirely new environment. Next up came our Mindfullness class, the thing I was most intrigued about on the press trip itinerary. The session was with Kris Kurmann, a fascinating and inspiring individual who believes that he cured his own brain tumor with meditation and mindfulness. he introduced us to the basic practice of meditation and how we could practice mindfulness in our everyday lives. The story of Kris’ journey and the practice of mindfulness is enough for a whole separate blog post, but I’d definitely recommend checking him out online to find out more. I opened my mind to the concept of meditation and actually really enjoyed it. The trick is to train your mind to empty all of its thoughts, which is actually a very difficult thing to do. But combined with the yoga, I ended the session feeling very relaxed and enlightened! 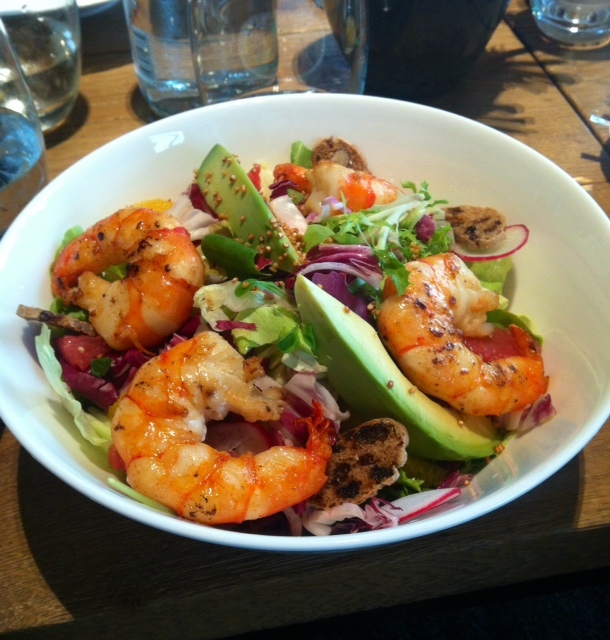 For lunch I went for a super healthy King Prawn and Quinoa salad with grapefruit and avocado which was totally delicious, followed by an afternoon in the hotel’s Six Senses Spa. The indoor pool is absolutely heavenly. Underwater lighting make it glow the most beautiful colours, which is complimented by the stunning design of the pool. 20 lengths and a substantial Jacuzzi session later, it was time for my Six Senses Signature Massage. I have had a fair few full body massages in my time, but I have to say this tops it. Incorporating stretching pressure points , it certainly went beyond the expected. Post massage I was given warm ginger tea with a plate of nuts and dried fruit and came back down to earth in the sauna, steam and salt room. After my time was up I came across a dark relaxation room with waterbeds, but didn’t have time to try it. The Six Senses Spa has everything you could possible want from a spa, along with incredible treatments, gorgeous surroundings and service. I couldn’t recommend the Gstaad Six Senases Spa highly enough. Dinner was served at the hotel’s signature Michelin star restaurant Sommet, ran by two Michelin star chef Marcus G. Lindner. We were given a tasting menu of six courses, all using fresh local produce and creative food pairing combinations such as pigeon breast with blueberry risotto. Werid and wonderful but utterly amazing! After an indulgent dinner I forced myself to have an early start and hit the gym. So it was back to the spa to make the most of my last morning. I had the whole gym to myself which was kitted out with the latest Techno Gym equipment. Post gym I enjoyed breakfast back in Sommet restaurant, an egg-white omelette and yoghurt with nuts and berries. I absolutely love taking my time over a leisurely breakfast. It’s such a pleasure when you’re used to having something on the go. 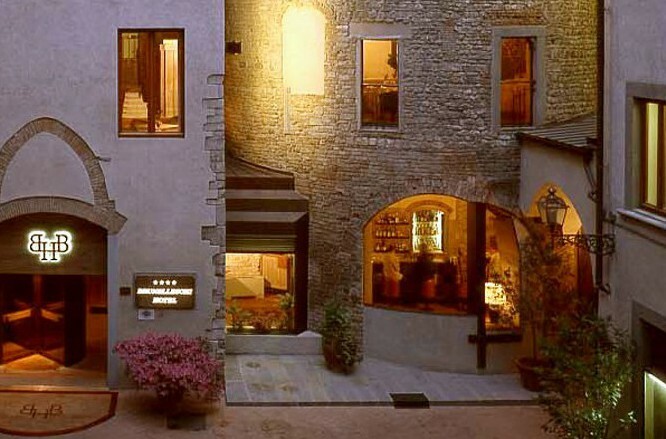 My final indulgence of the weekend was a Six Senses Divine Facial, which again, was totally beyond the expected. The treatment was an extremely sensual and spiritual using ancient Indian pressure techniques along side sumptuous Ila products. “Keep an open mind and open your heart to me so I can connect with you”, she said to me. No therapist has ever said that to me before, that’s for sure! But I went with it. It was clear that she absolutely loved what she did, and she was bloody good at it too. The facial was an experience like no other, and the perfect way to top off an incredible weekend. 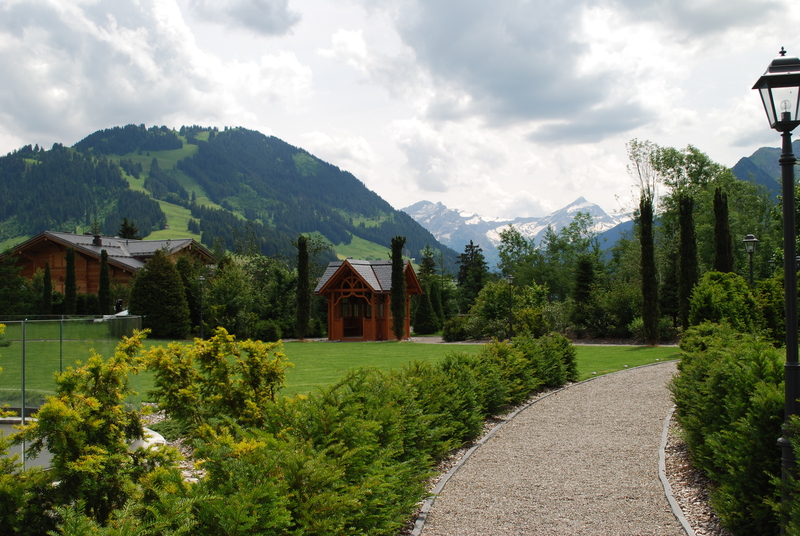 I could have easily stayed another 3 days at the Alpina Gstaad and was very sad to leave. But I always feel the best trips are the ones that leave you wanting more. I loved seeing the Alps in summer and enjoyed the most decadent Spa weekend to date. My weekend at The Alpina Gstaad was a blissful experience from start to finish and I’d love to return again for the winter season. Thanks for your comment! It was such a wonderful weekend. 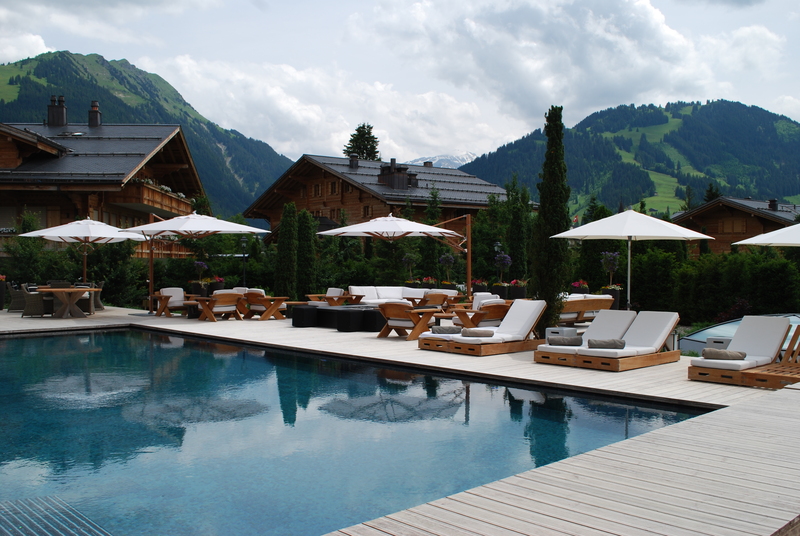 Have you been to Gstaad? No, I haven’t but would love to, it just looks über romantic. I have done Berne as a day trip and a few city breaks to Zurich. Gstaad is now on the list.